On Sunday May 10, K. and E. and I had a slow breakfast (after we drew the goodies K. had bought). Unfortunately I was only allowed to eat watery rice, which annoyed me. I’m not in Paris to be on a diet, quite the opposite! At midday K. and I finally made it out, rented bikes, and rode to Jardin du Luxembourg, which turned out to be closed for a private function. 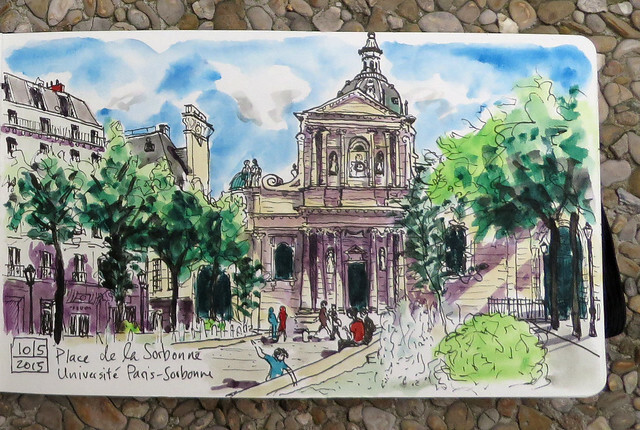 But we found a nice plaza “Place de la Sorbonne” and drew a church-like building which turned out to be part of the university of the Sorbonne. Then went to the Latin Quarter and bought some chocolates, then back to the Jardin which was still closed. 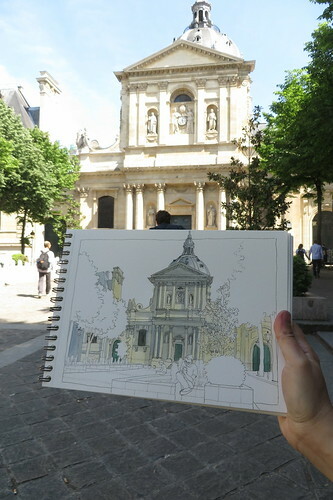 At Place de la Sorbonne. 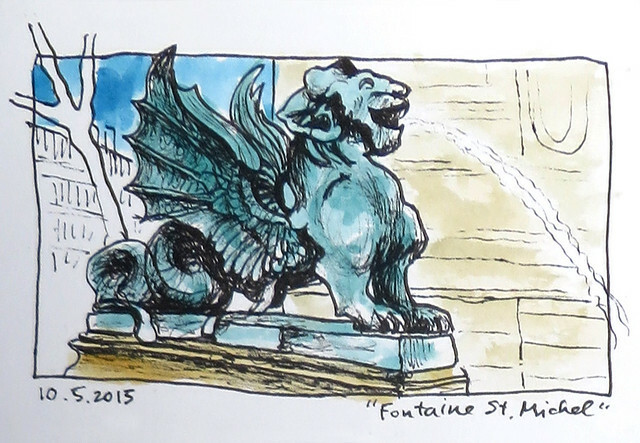 Dragon at Fontaine St. Michel. We gave up on the Jardin for the day and found a small cafe where we had some drinks and I consumed a French Onion soup in spite of my supposedly all-rice-and-bouillon diet. 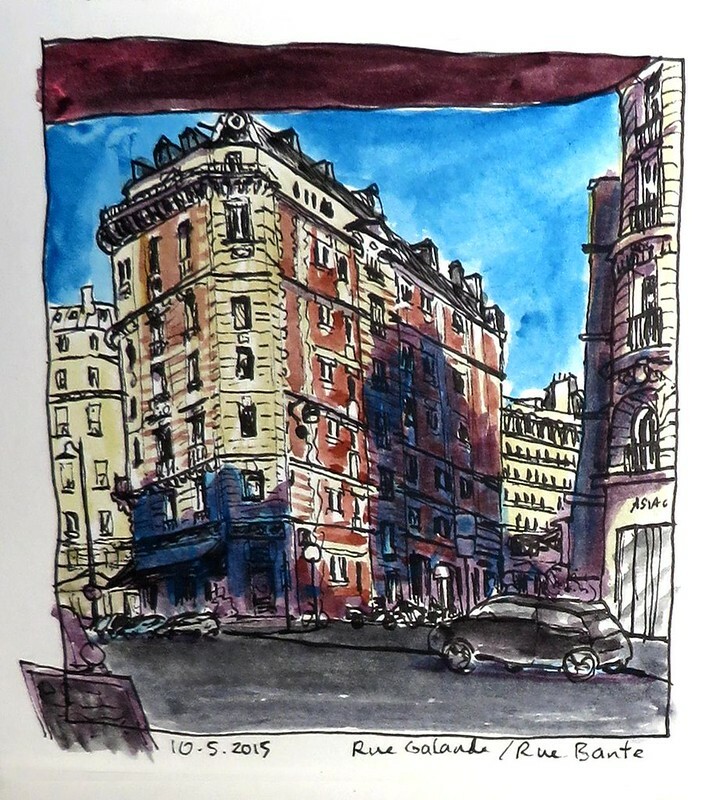 We did another drawing of a cool building that took up a whole city block at Rue Dante and Rue Galande. Then we walked home via both the Île de Paris and the Île St. Louis, admiring the Notre Dame, and enjoying the music that was everywhere. 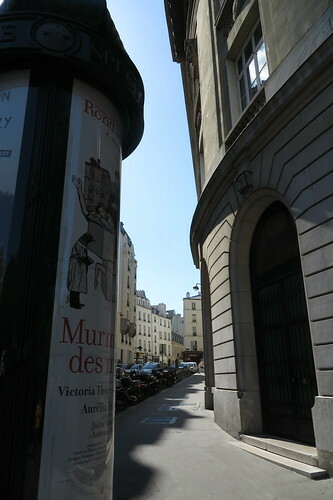 It was a beautiful, warm, sunny spring day in Paris. Once at home, we were exhausted, and just sat down and added some colour to our drawings from the day. I thought this looked like a good motif for a vertical drawing. 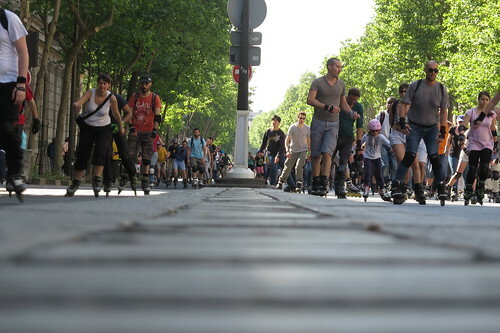 A sudden onslaught of people on roller skates. They zipped through like a summer storm, and as suddenly they were gone. Nice rusty typography. 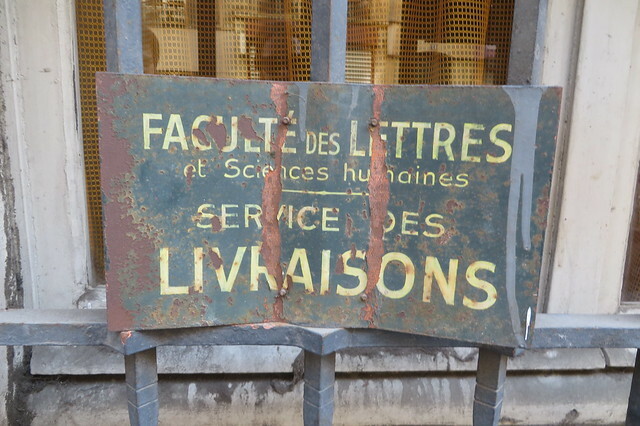 Has this sign been here since the 13th century when the Sorbonne University started? 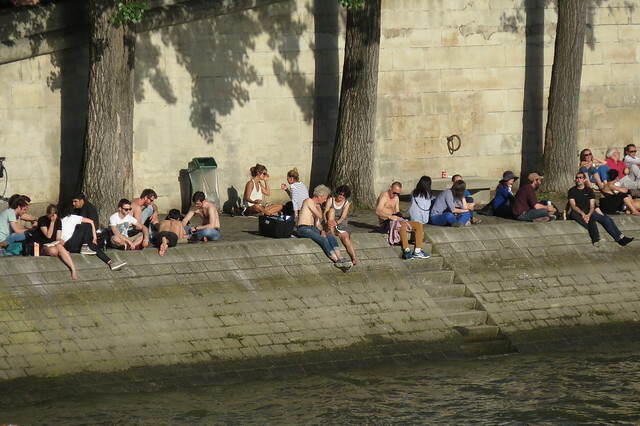 After a week with several fairly cold, rainy and chilly days, everyone is out at the Seine, soaking up the sun. 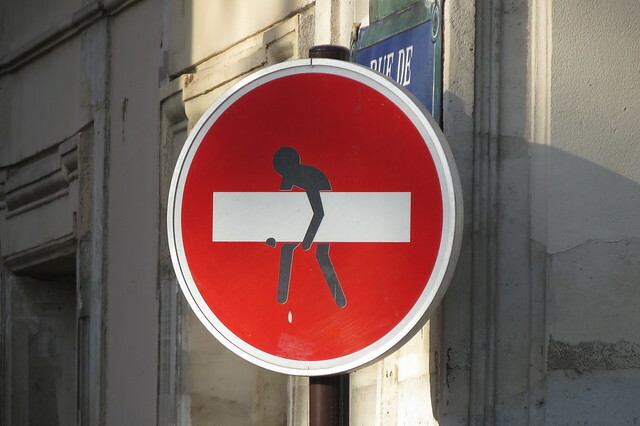 Graffiti on a traffic sign.